What is a law list? It is a publication maintained primarily for the purpose of presenting the names of lawyers as available for professional employment. Usually it is not a general directory, but shows selectively the names of one or more lawyers or law firms for each judicial area covered. In the case of a creditors’ rights law list, it is comprised of attorneys located in various cities throughout the United States and foreign countries who are interested in handling collection and bankruptcy matters. When commerce developed to such an extent that business transactions were entered into and credit was extended on a wide geographical scale, it became necessary to have some dependable means of obtaining legal counsel in distant areas, in order to enforce the obligations created; the law list fulfills that need. What is the American Lawyers Quarterly (ALQ)? The American Lawyers Quarterly is a list of attorneys located in various cities throughout the United States and foreign countries who have expertise and are interested in handling collection and bankruptcy matters. The American Lawyers Quarterly law list was founded in 1899 and has been published without interruption since. It contains referrals for all commercial centers, county seats and towns of 250 or more in population in the United States and Canada , as well as most countries throughout the world. Our publication also contains other information helpful to the forwarder of collection work, such as detailed maps of the United States and Canada to aid in making referrals, and names, phone numbers and addresses of the Secretaries of State and Bankruptcy courts in each state. The American Lawyers Quarterly is published in strict conformity with the rules set down some years ago by the American Bar Association, and the American Lawyers Quarterly carried a Certificate of Compliance issued by the ABA Standing Committee on Law Lists as long as such certificate was issued. Who uses the American Lawyers Quarterly? The A.L.Q. is available to collection agencies, lawyers, credit insurance companies, credit men’s associations, debt buyers, insolvency accountants, and secured lenders. The A.L.Q. is used principally by those who have need of out-of-town counsel in the collection and bankruptcy fields. The A.L.Q. is not sold publicly, but rather it is distributed free of charge to those who will use it for the purpose for which it is intended. Is it advantageous for a lawyer to be listed in the American Lawyers Quarterly? Listing in such a publication is of course a valuable way for a lawyer to make it known that he is available and prepared to handle out-of-town business. The demand for such employment is ever-increasing as the extension of credit expands in its scope and complexity throughout our economy. The American Lawyers Quarterly has an excellent reputation for promoting lawyers with expertise in the collection field, and therefore, it is an effective vehicle for a lawyer wishing to present themselves as available for such employment. How will the American Lawyers Quarterly keep my name before those who send business to out-of-town lawyers? Thousands of forwarders receive our publications on a regular basis. Our publications are carefully produced and edited, and widely circulated. Supplemental promotional material goes to each forwarder regularly. Our representatives visit and telephone forwarders and prospective forwarders regularly. 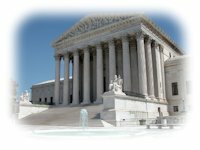 The American Lawyers Quarterly also maintains an extensive website (http://www.alqlist.com) which is widely used throughout the industry for the most up-to-date information on collection attorneys and related resources. On our website, users can search listed attorneys by name, city and state, or zip code. Complete profiles on all listed law firms are provided, including details regarding areas of law practiced and geographic areas covered. Users can forward claims directly to our listees by email from the website, or create forwarding letters to fax or mail, with automatic bonding notification directly to ALQ. The website also provides other valuable information such as Summaries of State Collection Laws, CLLA Operative Guides, Bankruptcy Court and Secretary of State information, a Calendar of Industry Events, a Glossary of Legal Terms, and links to numerous related industry resources. At various meetings of the Commercial Law League of America, the National Association of Retail Collection Attorneys, International Association of Commercial Collectors, American Collectors Association, the Debt Buyers Association, etc., our representatives are always in attendance and active, participating frequently in educational forums and committee responsibilities. These and other efforts are made in order to maintain the standing of the American Lawyers Quarterly and its listees. As an added incentive to forwarders, the American Lawyers Quarterly maintains an indemnity bonding program which provides coverage in the amount of $3,500,000. This program creates confidence in our listed counsel by assuring that each has the integrity and financial stability necessary to provide exemplary service. What other services does the American Lawyers Quarterly provide for the benefit of its listees? Our fully-staffed Forwarding Department is maintained and operated to seek out new sources of business and to see that they are equipped with our publication, and information about our website, and informed about their uses. We are constantly upgrading the quality and variety of services provided to forwarders, in order to encourage increased usage of our publication as the preferred forwarding medium. We also maintain a competent Service Department, whose task it is to know the needs of listees and users and to satisfy them. Inquiries from both forwarders and receivers are welcomed at any time, as it is our desire to be sure that working relationships are maintained in the most convenient and efficient manner. Can I find out what members of my bar think of the value of listing in the American Lawyers Quarterly? In fact, we encourage such inquiry. To aid you in this effort, our Home Office will be happy to furnish you with the names and addresses of nearby listees upon request, so that you can check out the value of listing first-hand. We also recommend you contact the Commercial Law League of America, National Association of Retail Collection Attorneys, International Association of Commercial Collections, American Collectors Association, and Debt Buyers Association for references as well. Isn’t it a fact that collection work for out-of-town clients retards a lawyer’s local practice? Absolutely untrue. As evidence, we refer to the thousands of successful, reputable lawyers listed in the American Lawyers Quarterly. The plain truth is that the collection work received over the list sometimes provides opportunities for an attorney to make contact with local individuals and business entities who eventually become clients. How will I know whether my listing is productive? The great majority of users of our List either attach one of our special notification coupons to each piece of new business forwarded, or mention the name of our List in their transmittal letters, so that you will know which cases have been generated as a result of your listing. We encourage our listees to keep an accurate record of the matters received and the fees earned on them. Is there anything else I should know about business forwarded by users of the American Lawyers Quarterly? There are no special legal skills beyond those utilized in the general practice of law, and in fact, most attorneys involved in general law practice already will have handled many such cases for their local clients. However, many listees find the long-distance nature of their new clientele particularly exciting and challenging. These are not clients who will be in and out of your office on a regular basis, but rather you will be entrusted with important matters from a considerable distance, and the techniques you develop for maintaining communication with these new clients will be important in your handling of such accounts. If a listing in the AMERICAN LAWYERS QUARTERLY is of interest to you, or if you have any questions, we urge you to write to us at the Home Office, 853 Westpoint Parkway, Cleveland, OH 44145, or call us, toll free, at 1-800-843-4000.